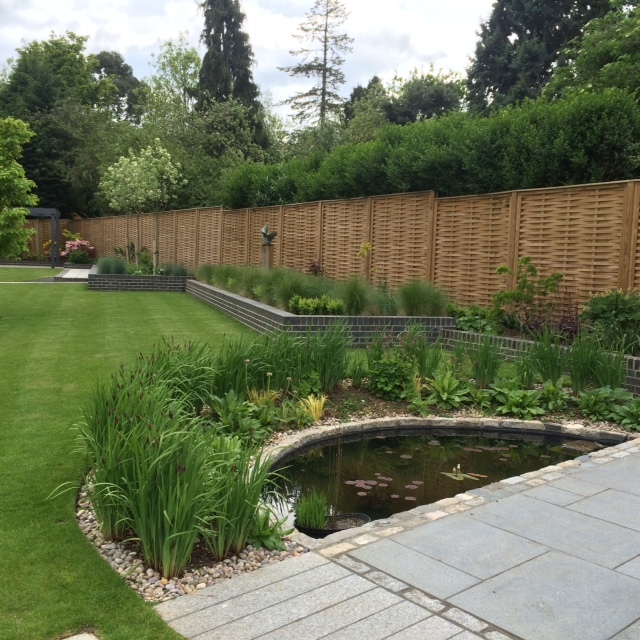 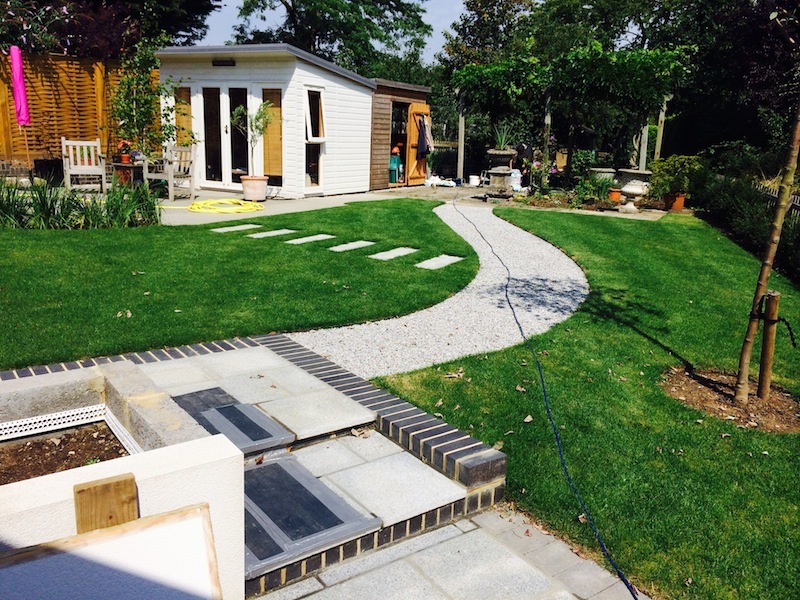 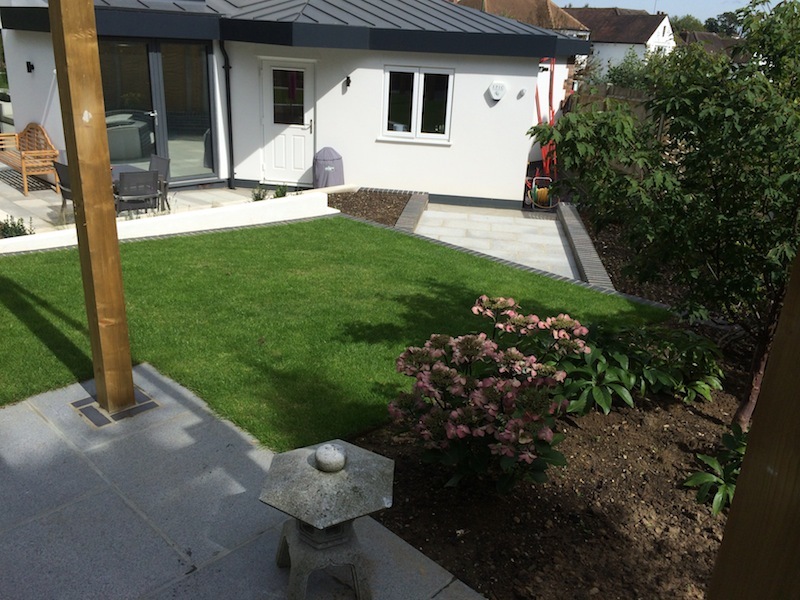 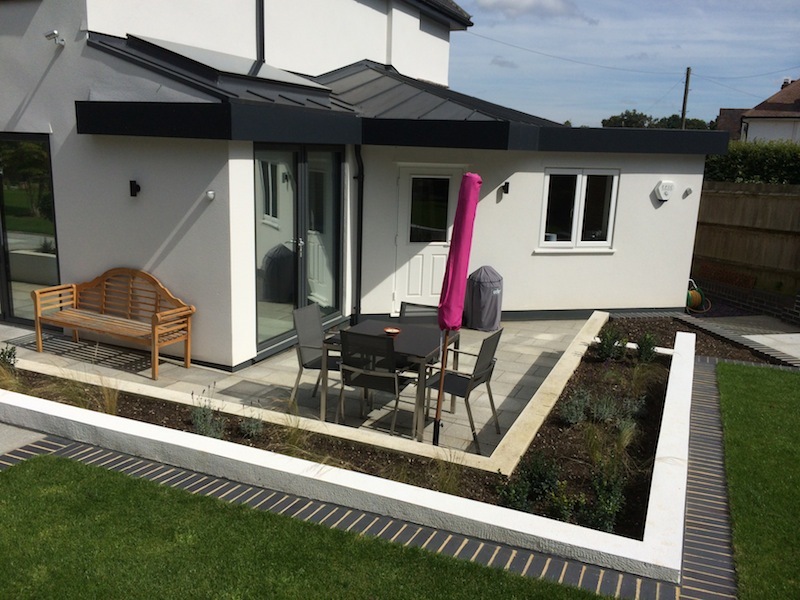 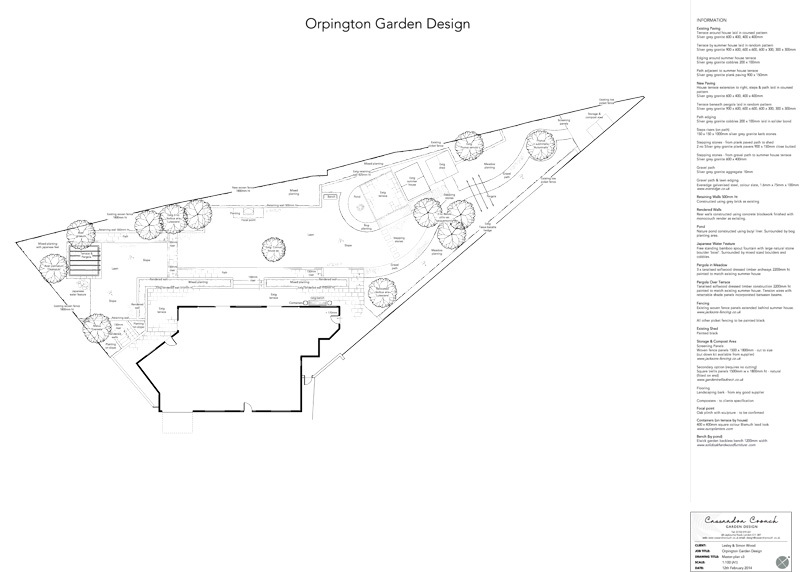 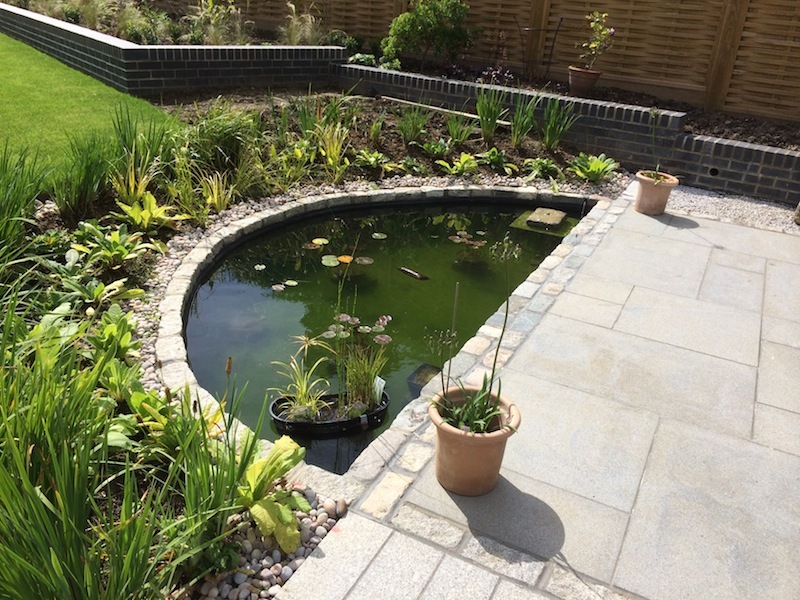 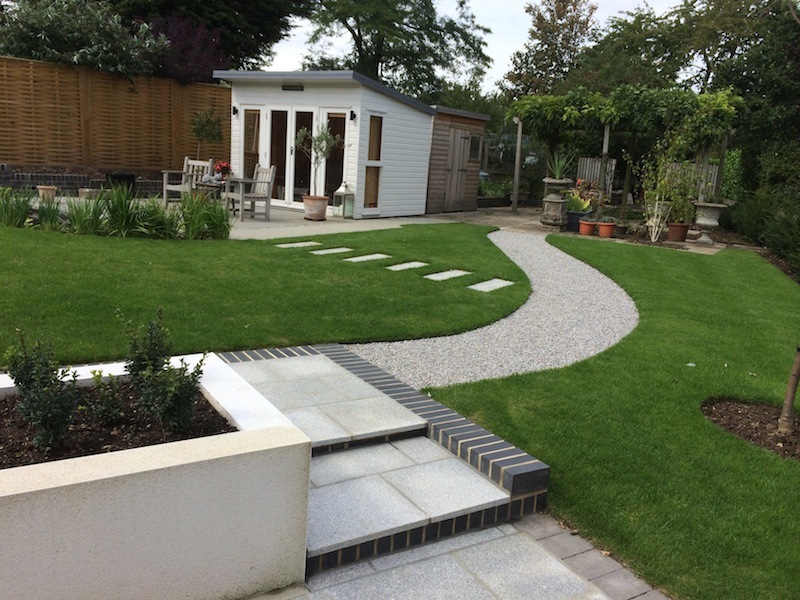 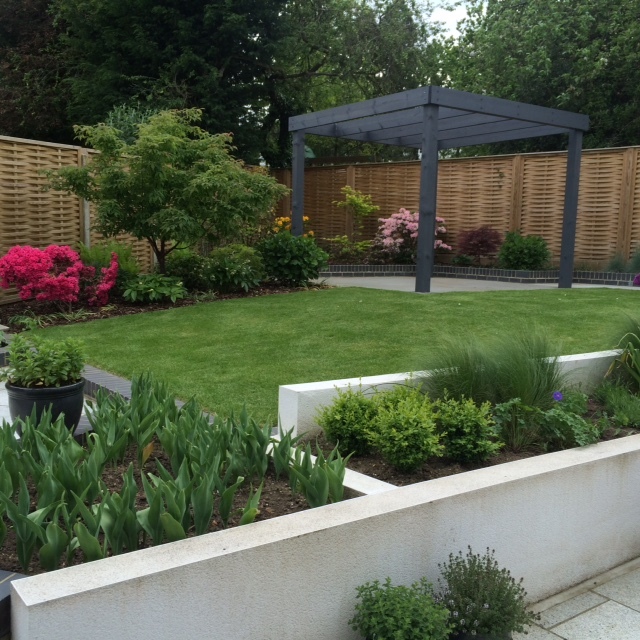 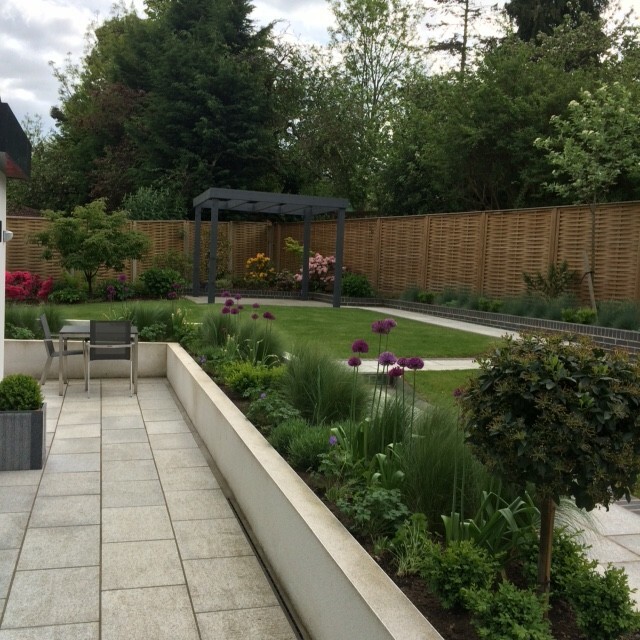 This Orpington rear garden design was created by independent practice Cassandra Crouch Garden Design, based in London. 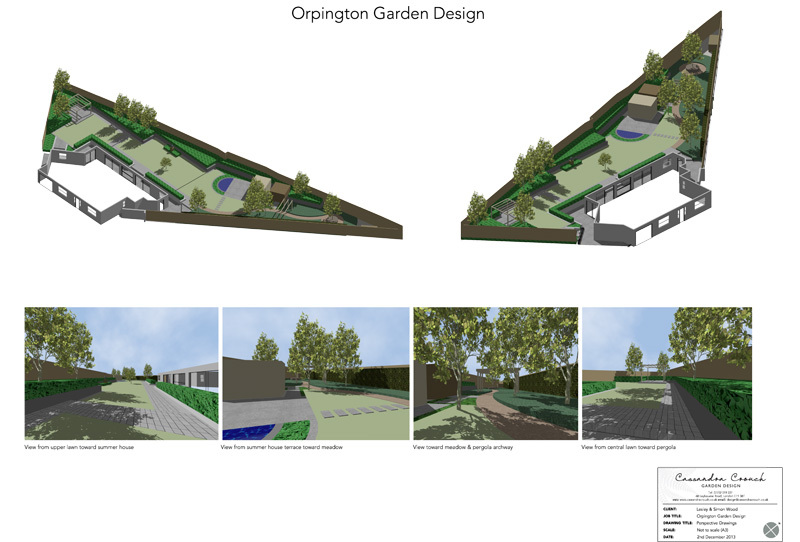 Cassandra qualified from Capel Manor College in London in garden design, having previously worked within the fashion industry. 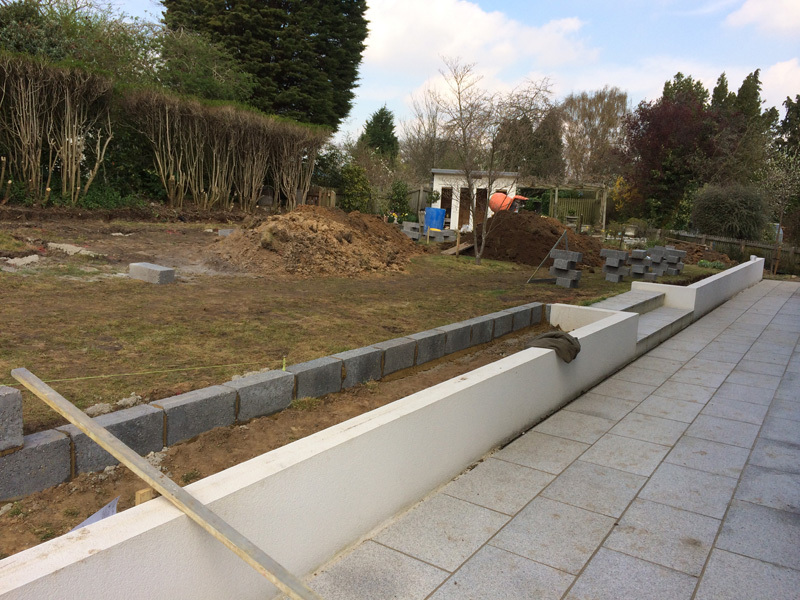 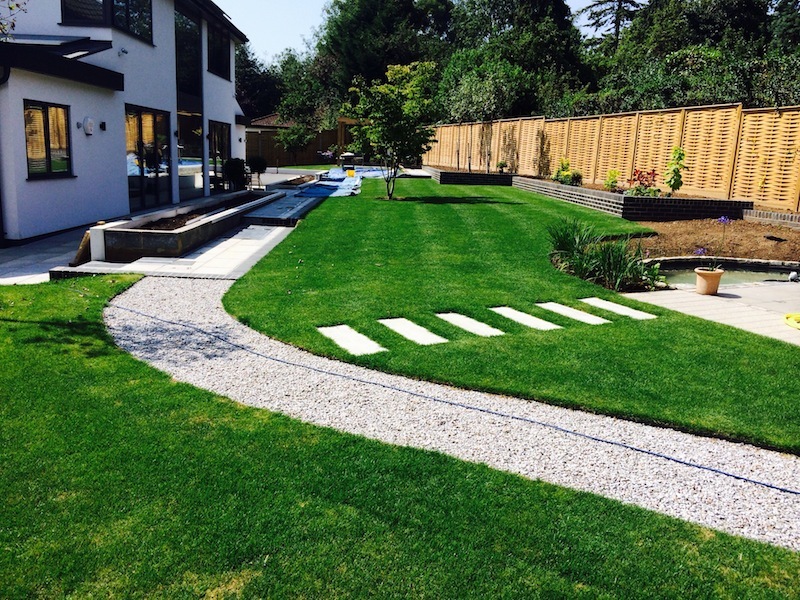 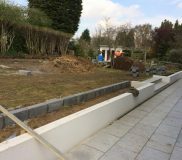 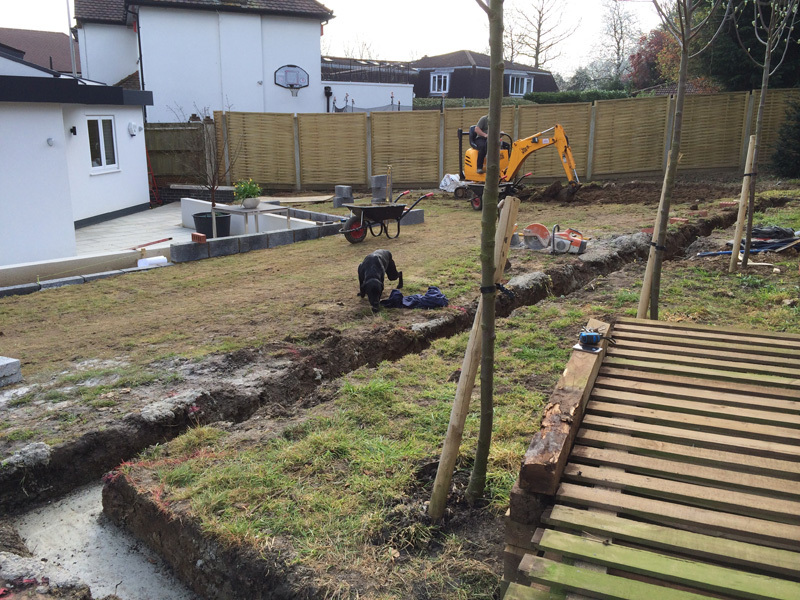 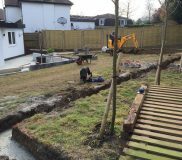 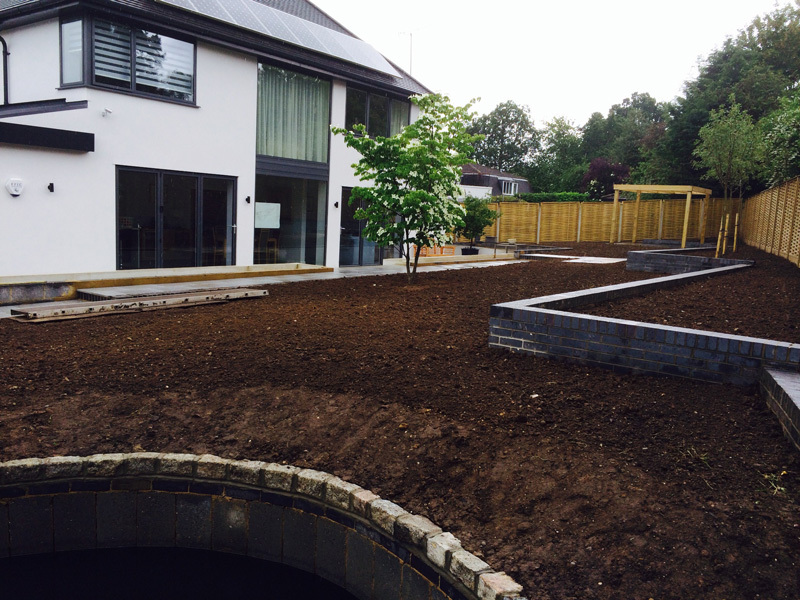 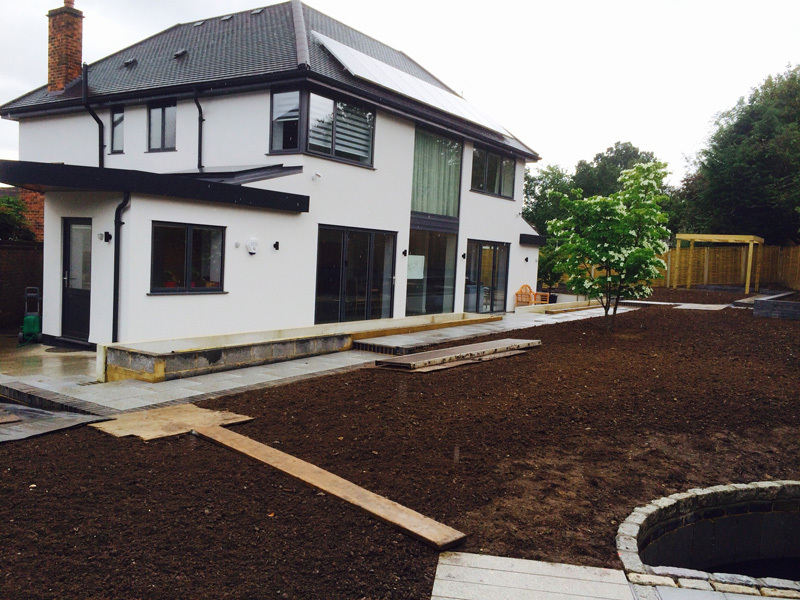 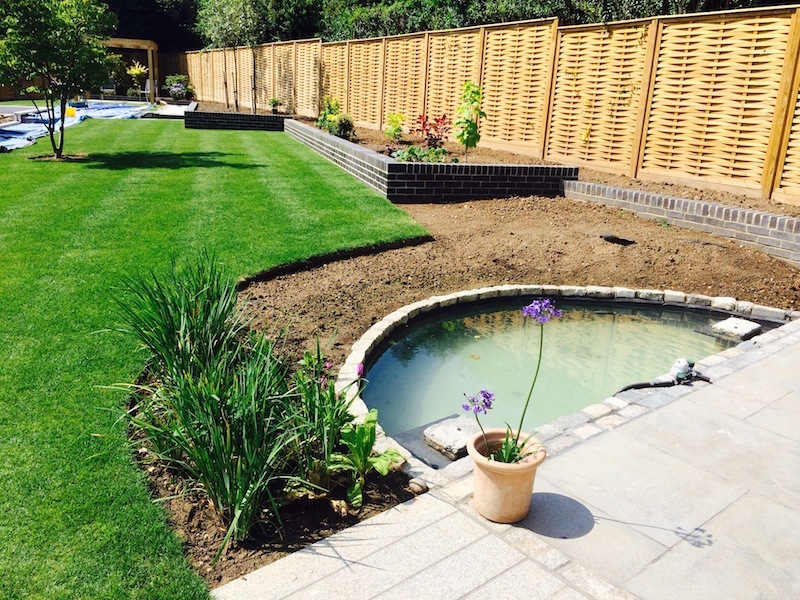 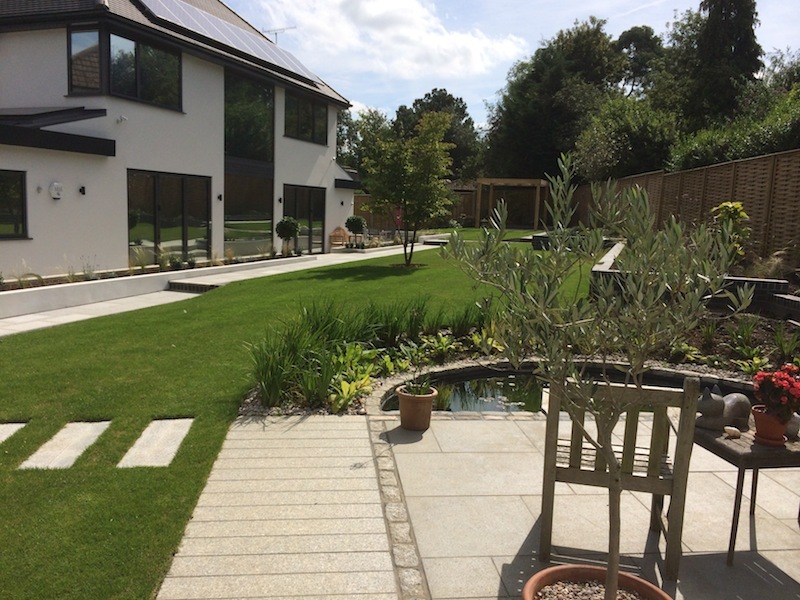 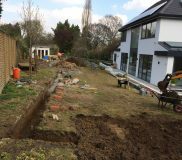 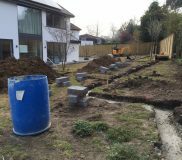 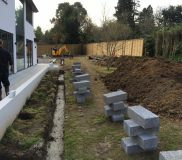 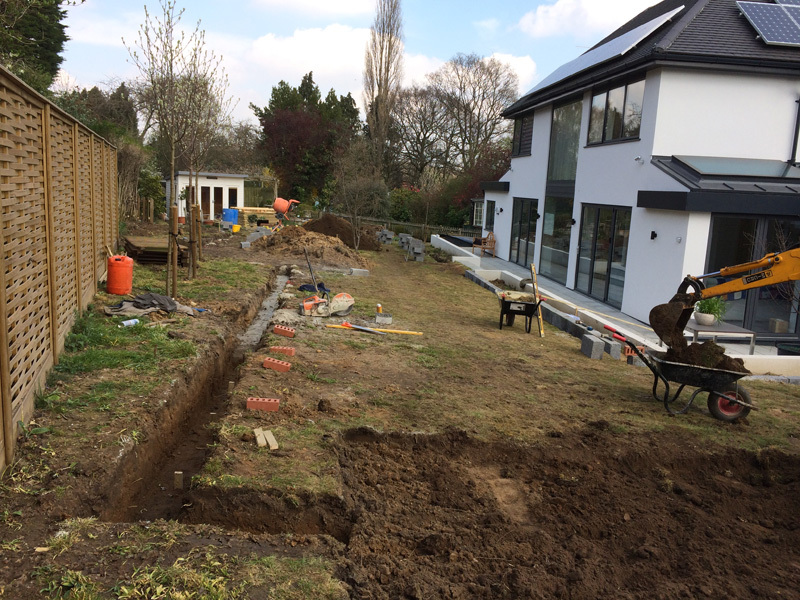 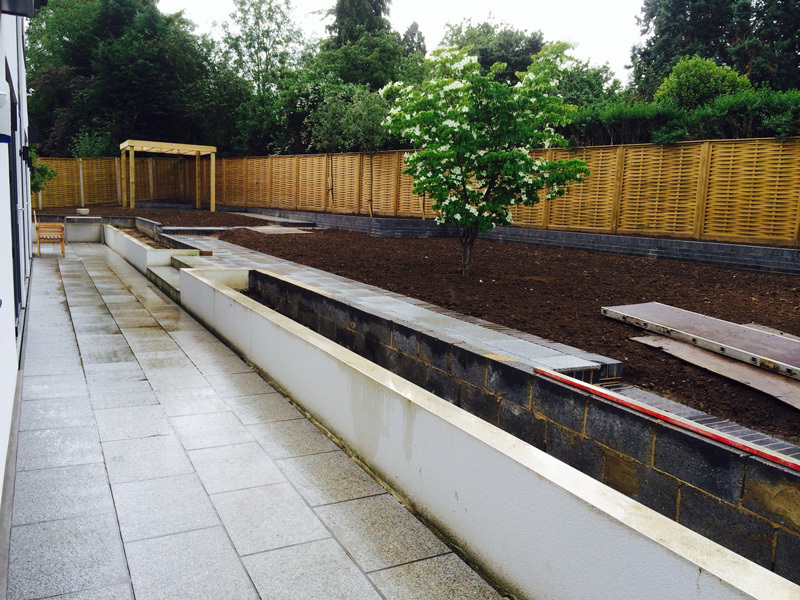 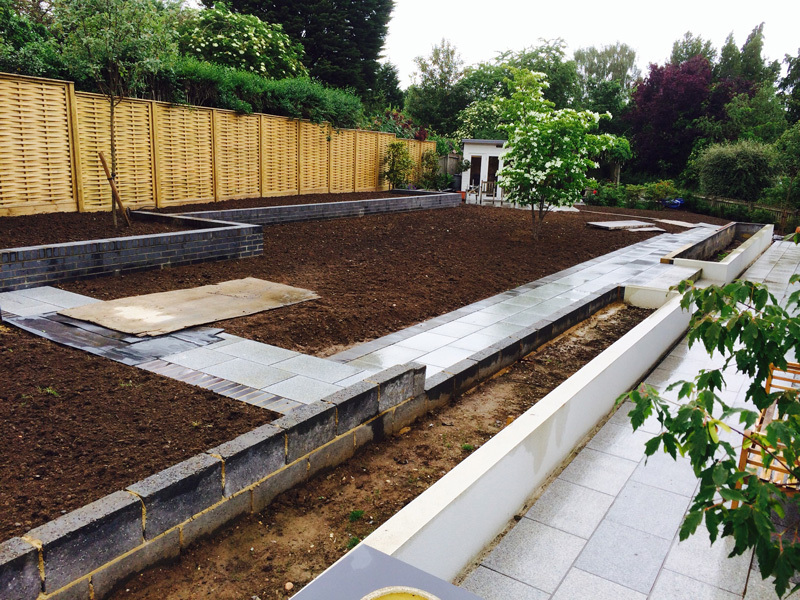 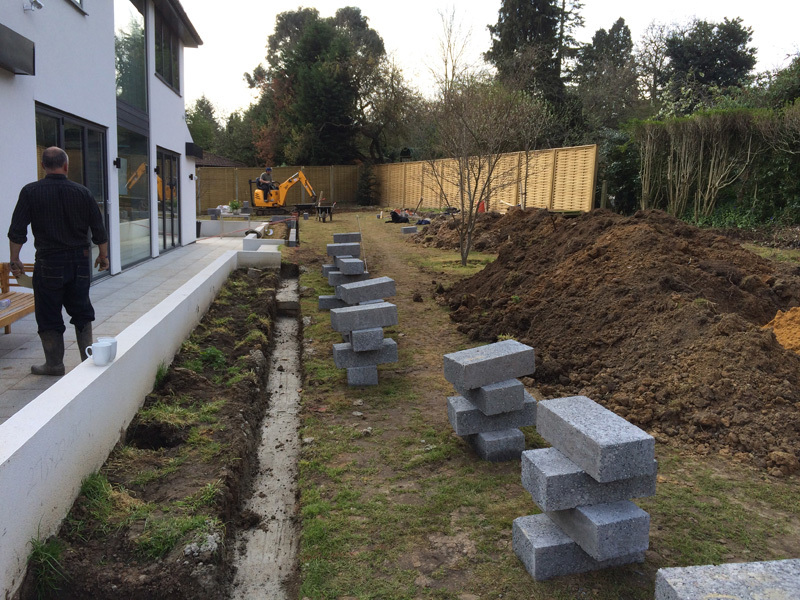 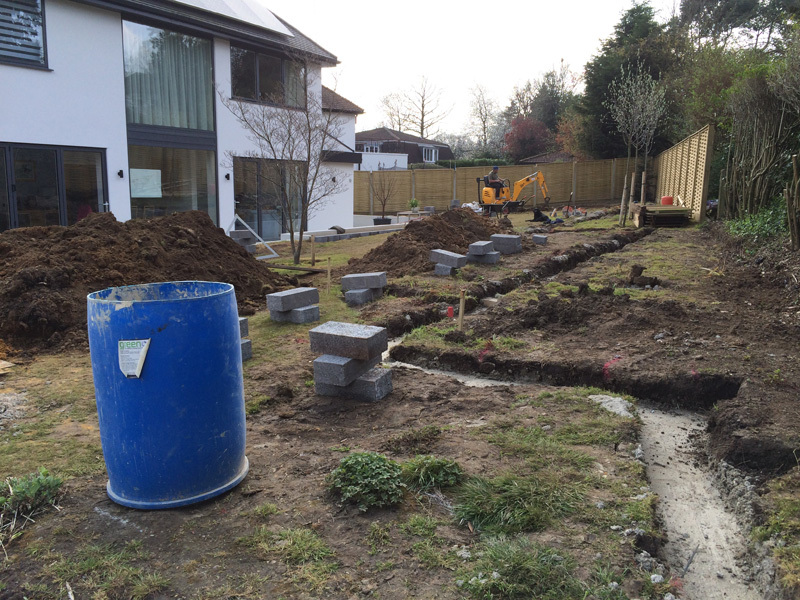 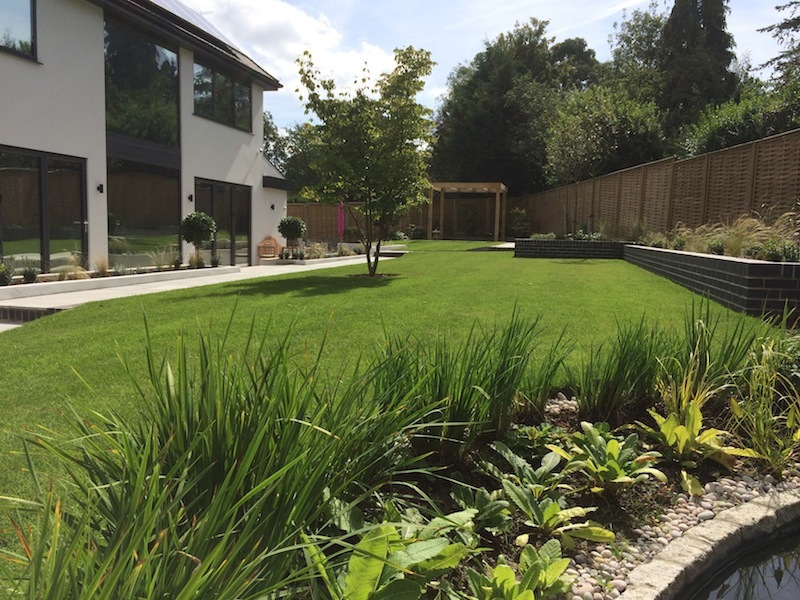 Here at Millhouse Landscapes we have been busy carrying out the landscaping for this project, with feature walls being established as well as a water feature to the middle of the lawn. 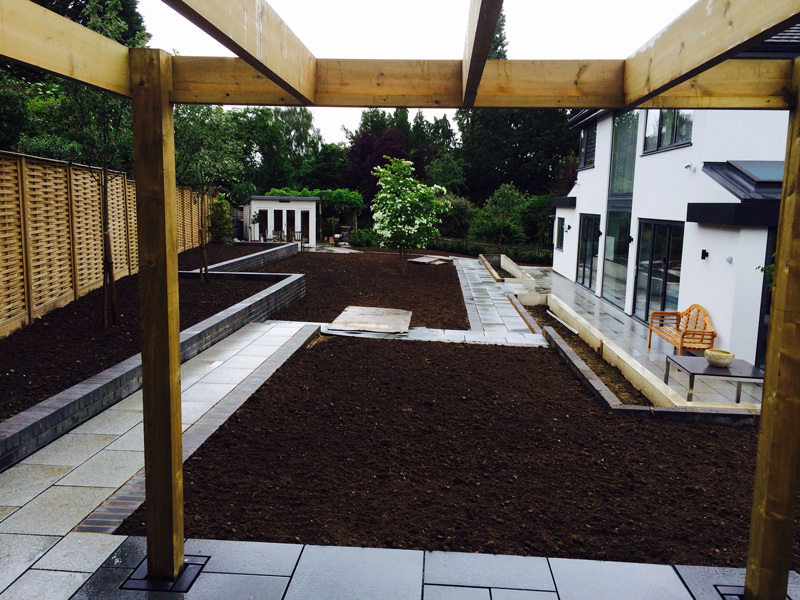 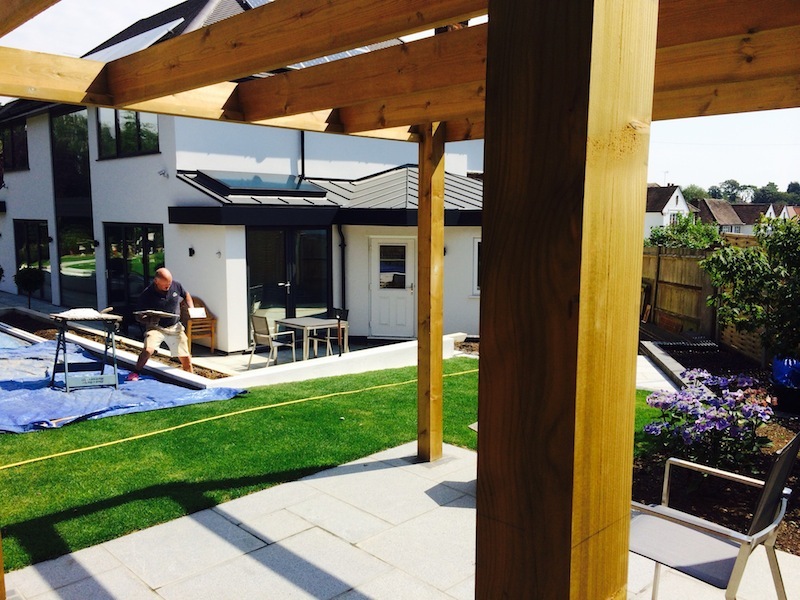 We have also installed a pergola towards the right hand side of the rear garden. 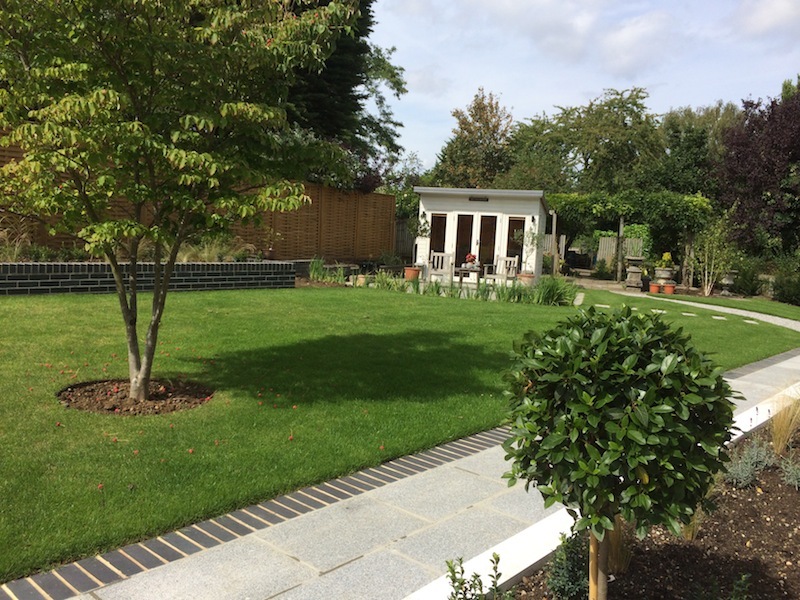 We have now finished this project in collaboration with Cassandra Crouch, and the clients are in love with their garden again!